Montgomery is a city in Hamilton County, Ohio, United States, settled in 1796. The town was a coach stop on the Cincinnati-Zanesville Road, later known as the Montgomery Pike, with an inn, two taverns, a grist mill and a carding mill to process its agricultural products. It would remain a rather sleepy hamlet until the 1960s when it became an affluent bedroom community for people working in Cincinnati. It retains its historic downtown with many other 19th-century houses scattered throughout the community. It is currently accessed from exit 15 off Interstate 71 and exit 50 off Interstate 275, and it is the eastern terminus of the Ronald Reagan Cross County Highway about five miles northeast of the Cincinnati city line. Columbus and Central Ohio Regional MLS listings last updated Apr 24, 2019 9:55:pm. Information deemed reliable but not guaranteed. Information is provided exclusively for consumers' personal, non-commercial use and may not be used for any purpose other than to identify prospective properties the consumer may be interested in purchasing. This data is up-to-date as of Apr 24, 2019 9:19:pm. The data relating to real estate for sale on this web site comes in part from the Broker Reciprocity program of the Multiple Listing Service of Greater Cincinnati. Real estate listings held by brokerage firms other than the owner of this page are marked with the Broker Reciprocity logo and detailed information about them includes the name of the listing brokers Copyright © 2019, MLS of Greater Cincinnati, Inc. All rights reserved. 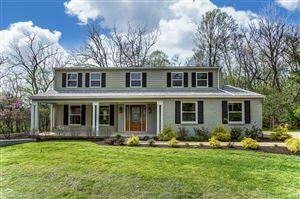 Northern Kentucky listings last updated Apr 24, 2019 9:39:pm.